Marvel’s Agent Carter ended last night, without confirmation of a second series, so for now this is it for Peggy Carter and the SSR. In many respects, it was a satisfactory ending. Peggy comes to terms with the loss of Steve Rogers, Howard Stark deals with his own destructive nature and legacy, and the SSR accepts Peggy as one of their own—though the accolades for the resolution of the Howard Stark situation goes to Agent Thompson, not Peggy. But as Peggy says, she doesn’t need public recognition—she knows her value. All she’s wanted is to be allowed to do the work, and that is what she gained during her first year with the post-war SSR: The ability to be an effective member of a team. There were also neat parallels to the Marvel movies, which is something Agent Carter has, for the most part, done very well. Howard’s storyline all season about the inherently destructive nature of his genius echoes Tony Stark’s arc throughout the MCU, especially the upcoming Avengers: Age of Ultron. After that movie comes out, it might be worth revisiting this last episode and Howard’s words about legacy and destruction. And Captain America’s specter looms large once again, but this time it’s as a fading ghost. Howard and Peggy let Steve Rogers go, and in so doing abandon him to the canonization of cheesy radio shows and the hero-worship of a grateful public. The scene in which a senator congratulates Thompson is purposefully reminiscent of the senator who once congratulated Steve—you could feel that senator thinking that this handsome blonde agent would be his own Captain America. But there was one area in which Agent Carter dropped the ball—despite setting up plenty of foreshadowing, the show did not end up teasing the Winter Soldier. The biggest problem with Marvel’s TV efforts (to date) has been their unwillingness to let the TV shows tie into the movies in big and impactful ways. Agents of SHIELD has loosened up on that regard, letting the show build out the mythology of the Inhumans, and it has improved that show a great deal. But though Agent Carter introduced the Red Room, Hydra’s many offshoots in Europe, and the potential for Stark tech to wander off and land in the wrong hands, none of that led to anything larger. Leviathan turned out to be nothing more than one man’s need for revenge against Howard Stark. The threads of the Battle of Finnau, Howard’s mysterious nerve gas, and a man devastated by the horror Howard accidentally wrought are fine, in and of themselves. But Leviathan got a great deal of buildup that just felt BIGGER than a simple revenge plot. I appreciate the writers not taking a second series for granted and tying up the loose ends, but we know that the Winter Soldier is in the natal stage, and we also know it will be years before he’s unleashed on the world. We don’t expect to see him, so it’s not like they have to create a big cliffhanger or anything. But they could easily have planted some seeds that make it clear that Hydra is working on it. 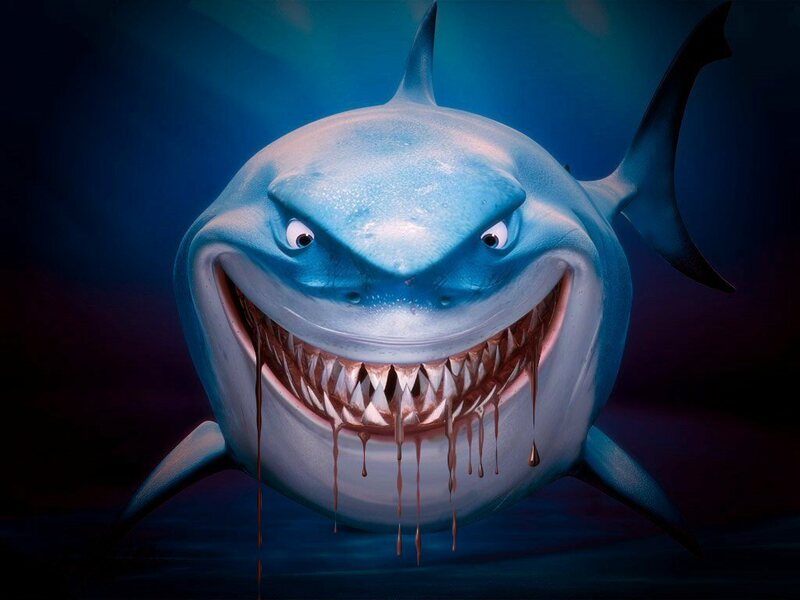 Why solve Leviathan? Capture Dr. Ivchenko, sure, tie that up, but make it clear that he was just one part of Leviathan, that there is a bigger plan the SSR still hasn’t unraveled. And when Howard looks at Sousa’s prosthetic leg and says, “I can help with that,” follow up by showing Howard realizing that a prototype limb, or schematics for one, are gone from his stolen inventions. (The designers on Captain America: The Winter Soldier very deliberately wanted the Winter Soldier’s metal arm to look like Stark tech, but Agent Carter did absolutely nothing with that.) And that final vial of Steve Rogers’s magic supersoldier blood? After all the shell games, Peggy ends up pouring it into the river. WHAT?! Either lock that sh*t up in the SSR, where we can assume that Hydra one day steals it, or hide it somewhere it can be useful to Steve in the future. What a wasted opportunity. But then, that’s the issue that plagues the TV shows. By not letting them directly impact the movies, they’re hobbled by these go-nowhere, ultimately uninteresting plots. 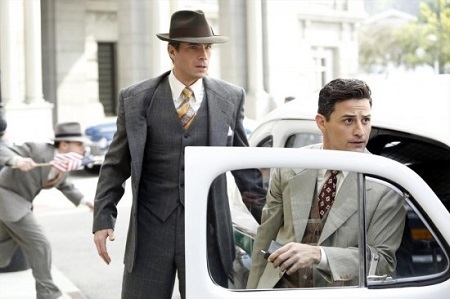 Agent Carter was an enjoyable show, with a great period aesthetic and fun, snappy action and dialogue. 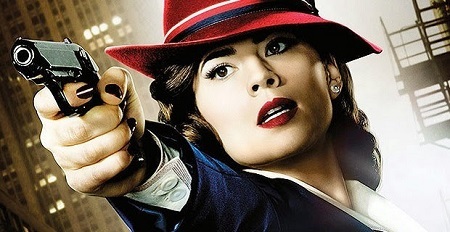 Hayley Atwell has turned Peggy Carter into a worthy superheroine in her own right, and James D’Arcy is something of a revelation as the human version of Jarvis. It just would have been nice if Agent Carter felt more directly relevant to the events that would end up undoing Peggy Carter’s life work seventy years later. Speaking of dumb decisions—whose idea was it to put Dr. Ivchenko in a prison cell with Arnim Zola?! SHIELD agents: Terrible at their jobs since 1946. Great ending to a fantastic show – but was anyone else slightly let down by the lacklustre showdown between Peggy and Dottie? I was hoping for something akin to the Sydney/Francie ALIAS smackdown, but this just felt rushed and poorly choreographed – not two super spy ladies at the top of their game… oh well, here hoping for a rematch in Series 2! I actually thought Zola’s recruitment of Fenhoff and asking about his hypnosis (brainwashing) work was a nod to what would happen to Bucky. I was kind of seething with rage over it. When Howard is looking frantically for his missing item at the SSR, instead of discovering the stolen nerve gas, he finds that a folio of sketches is gone, and Steve Rogers’s blood is gone, too. And everyone understands why losing Cap’s blood is a big deal, but everyone’s like, who cares about some drawings? And Howard can just be grim and be like, “Finnau wasn’t a battle, it was the aftermath of a failed experiment.” And it turns out that the whole Finnau thing was an aborted attempt to “repair” soldiers who lost a limb so they could be re-deployed. But it didn’t work and Howard thinks the procedure, which would require tampering with someone’s brain, is inhumane, so he still gets to have his falling out with the government (bonus opportunity to throw some material Sousa’s way). So Peggy and the SSR agents go after Ivchenko and Dottie before they can escape with the Finnau plans and Cap’s blood, they have their big confrontation, and instead of the whole dumb “hypnotized Stark” thing, where Peggy is stuck on the radio, AGAIN, she has an epic, throw-down, no-holds-barred boss fight with Dottie. (I get the parallels with The First Avenger in the finale, but I think that was the wrong decision.) Still, Dottie is slightly better than Peggy, and Ivchenko is making mental mincemeat out of Thompson and Sousa, so she has to let Dottie escape in order to save them, thus still capturing Ivchenko, leading to throwing him in jail with Zola. And the end is Peggy having to accept that she lost that little piece of Steve (still gets her closure and it’s MUCH LESS STUPID than throwing his magic blood into the goddamned river). And the last scene is Howard saying, “Well, they only have a couple ounces of Steve’s blood. That’s not enough to make an army.” And Peggy: “What could they do with it?” Howard: “One guy, maybe. If they got lucky, had the right test subject, maybe they could succeed once.” The button scene with Zola stands, unchanged. They never have to say “Winter Soldier”. That’s never the A-plot or the central point. 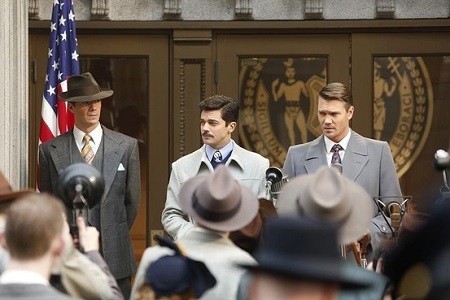 The climax is Peggy’s fight with Dottie and having to choose between “saving” Steve or her fellow agents, which keeps her the focus of the episode/season arc. And it’s a much more interesting, active way of having her accept the loss of Steve, once and for all, as she literally chooses to let him go in order to throw in with the SSR (instead of making the whole thing about Howard right at the end). And Howard gets everything back except the designs for his replacement limbs. If you haven’t seen The Winter Soldier, it’ll play just fine, because you’ll understand that Leviathan is about trying to create supersoldiers and that’s all that matters. But if you have seen it, you can make the leap straight to the Winter Soldier. Isn’t that so much better? Yes, that is infinitely better. Someday, I really want to know what you do in your day job. Yes! 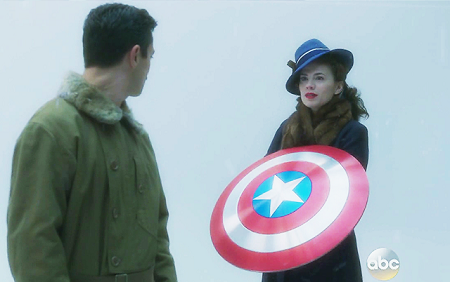 I love Agent Carter but that would have been awesome. As someone who hasn’t read the comics, I really like hearing your take on the shows and movies. Thanks! P.S. If you have any recommendations on comics that might be a good place for a newbie to start, I’d love to hear! That’s a big question. I would recommend Matt Fraction’s Hawkeye run (22 issues, wrapping up this month) because 1) it’s great, and 2) it’s had a big impact on Marvel storytelling over the last couple years. Also, skip Civil War because it’s a mess and the movie is going to be so much better, so don’t let the so-so comic taint your impression before the movie comes out. But do check out “Winter Soldier: Winter Kills”, in which Bucky Barnes returns as the Winter Soldier (one issue, 2006). That’s a great book. Ed Brubaker’s ongoing Winter Soldier book is good, too, and there’s a spin-off set in the 1960’s called “Winter Soldier: Bitter March”, about Bucky’s days with the Red Room. Kelly Sue Deconnick’s Captain Marvel series is great, and so is the ongoing Black Widow book. Basically, start with the Hawkeye series. If you like it, try Winter Kills. If you like that, too, then you can pick any series and just start with #1 for that run. If you don’t care about spoilers, try the post-Civil War Captain America series starting with “Fallen Son”. All that post-CW stuff is terrific. Thanks dude! I’m so excited to check these out. I read the first Hawkeye issue when I bought it “as a gift for my brother”, and it was awesome! I’m so glad to know what to look for now – thank you!